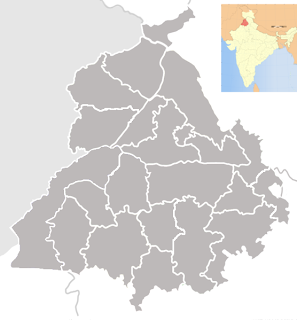 Punjab is an Indian state located in the northwest of India. Punjab is the home of Sikh Religion. 60% of its population is Sikh. Punjab is also called land of five rivers. Five rivers are Beas, Sutlej, Ravi, Chenab and Jhelum. The main crops of Punjab are Wheat, Rice, and sugarcane. Punjab is the main producer of wheat in India. It is also called ‘India's bread-basket’. It is also famous for its folk music and dance. Bhangra, Giddha, Dhola are some famous dances of Punjab. Major Cities Ludhiana, Moga, Jalandhar, Nawanshahr, Amritsar, Patiala, Ajitgarh, Bathinda.